The vision of Karmapa Center of Education is to create an environment that provides the physical and spiritual conditions to inspire young people’s curiosity: to discover and explore all aspects of knowledge, and the timeless values of wisdom and compassion. The education centers are designed to preserve the legacy of the Karma Kagyu lineage for the present and future generations.We believe the benefit will be immeasurable, as it will help young people to connect with their inner qualities and cultivate the courage to express them. The concept of the Karmapa Center of Education springs from the great vision of Thaye Dorje, His Holiness the 17th Gyalwa Karmapa. Karmapa Center of Education is a project that pioneers a new approach to education – aimed to merge ancient knowledge and methods with the realities of modernity, and make education accessible for the younger generation. Simultaneously, maintaining high standards of a contemporary education, the curriculum will follow the national curriculum of India starting from grade 1 to grade 12, additionally enriching it with alternative Western pedagogical methods. 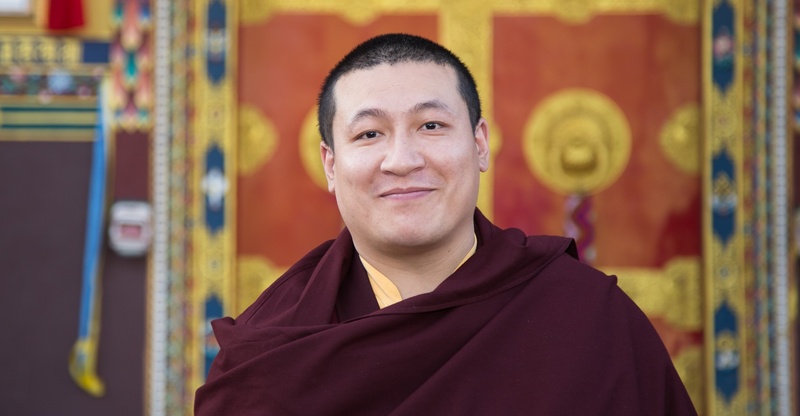 Karmapa Center of Education is designed to introduce students to the monastic life and to encourage those who choose to pursue this path, to take the monastic ordination after the age of 18. Growing up in an environment with a monastic and lay Buddhist community, the children and adolescents will be supported by the code of ethics of Buddhist lay people. Gradually, they will learn about the various forms of precepts and the meaning of living the life of a monk or a nun. 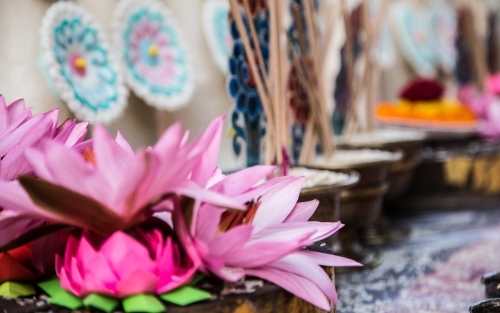 On Vesak, full moon and other auspicious days, according to the calendar of the Karma Kagyu tradition, the lay community and students will have the opportunity to uphold the vows of a fully ordained person (Sojong Vows) for a single day. The Karmapa Center of Education is running under a body of the monastic sangha and an international school board. Local and volunteer teachers, artists and scientists from all over the world will live and work together. The different populations of the Himalayan regions carry a very rich cultural heritage and many have been followers of Buddhism for centuries. Buddhism is part of their tradition and plays an important role in their daily life. These families wish their children to receive an education which passes on the legacy of their culture and Buddhist methods. The monastic life is held in high esteem in these societies, rooted in deep faith and tradition. 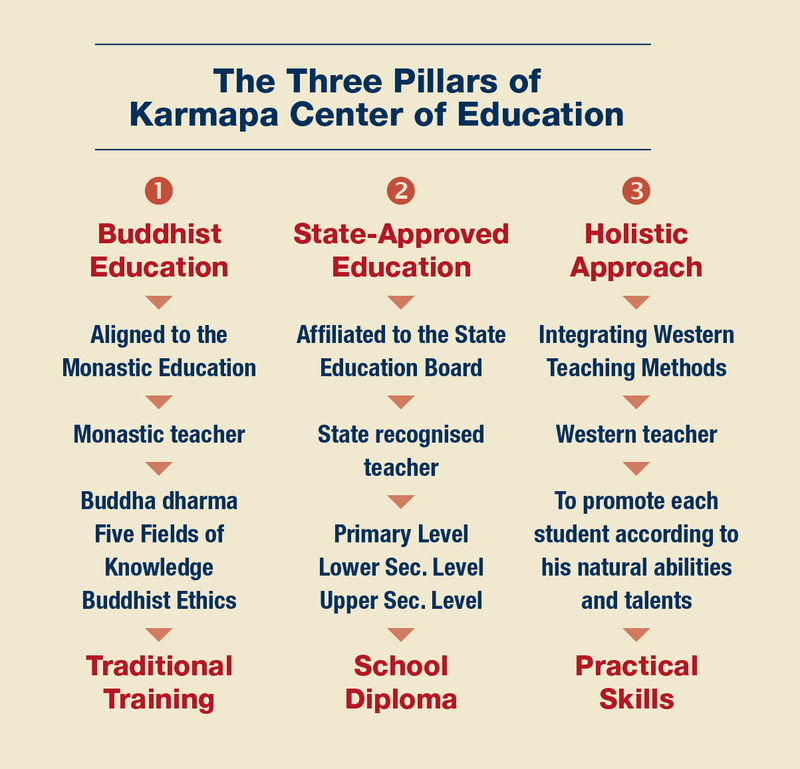 Four branches of the Karmapa Center of Education will be developed in different phases over the coming years. 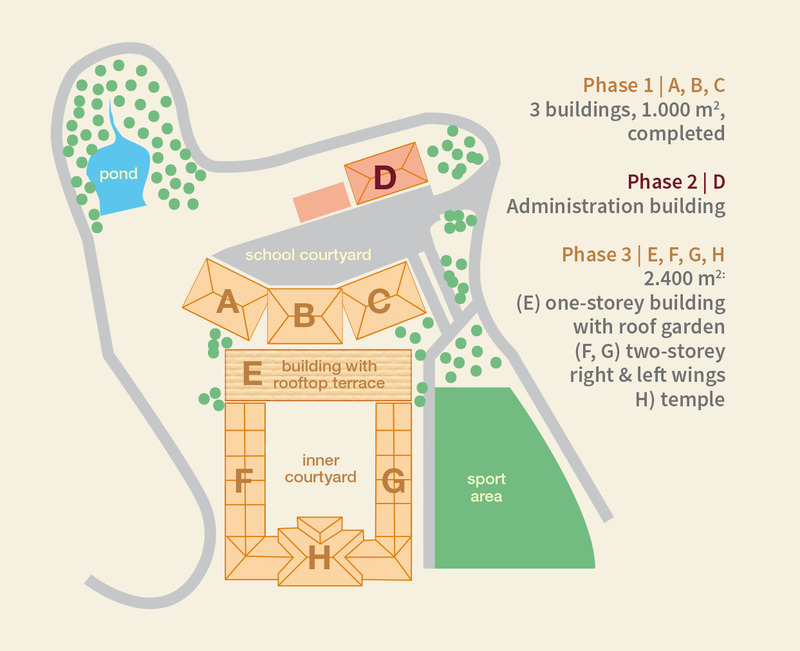 Every Karmapa Center of Education branch will have its own Buddhist temple, surrounded by classrooms and accommodation facilities. 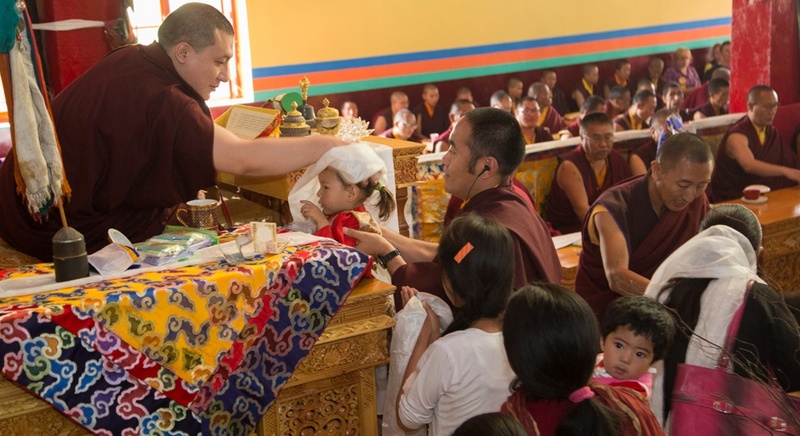 Karmapa Center of Education, which is presently under construction in Kalimpong, will become the first education center for boys and girls starting at the age of 6. The property of the first branch extends over an area of 4 hectares that provides space for all facilities including a sports ground, land preserved for agricultural use and a natural zone with forest. 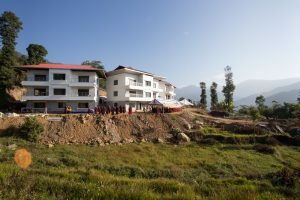 Building phase 1 has been completed with the three buildings (A, B, C) and Karmapa Center of Education’s primary branch is due to open in September 2017. The next two stages of construction include the administration building and a rectangular-shaped building with a temple surrounding a large central courtyard. 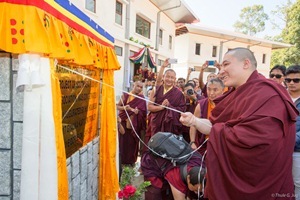 After completing the primary level, boys and girls will be taught separately in their own Karmapa Center of Education branch, starting from grade 7, all the way through to grade 12. After graduating the Higher Secondary, the students will be qualified to pursue higher education, including college or professional courses. As art and craft make up a core part of the curriculum of Karmapa Center of Education, a further branch of Karmapa Center of Education is the “Village of Arts”. The central building of the village will become an institute that will house various workshops, classrooms and a large library. The institute will be surrounded by a collection of many smaller houses that will provide enough space for a community of artisans, artists, craftsmen and scientists. Fine Arts: crafts (wood carving, sculpture), thangka painting (including the theory of iconometry and iconography), calligraphy, studies about different types of Stupas and shapes of monastic temples. Under the guidance of masters and their apprentices, the Village of Art will offer various workshops in the different fields of knowledge for participants from all over the world. The Karmapa Center of Education is growing thanks to the generous support of friends from all over the world. If you would like to become a patron of this great vision, join us. Thank you! We are looking for volunteer teachers, who have experience with children of primary school age, and would like to spend several months or a sabbatical year at the Karmapa Center of Education in Kalimpong, India. 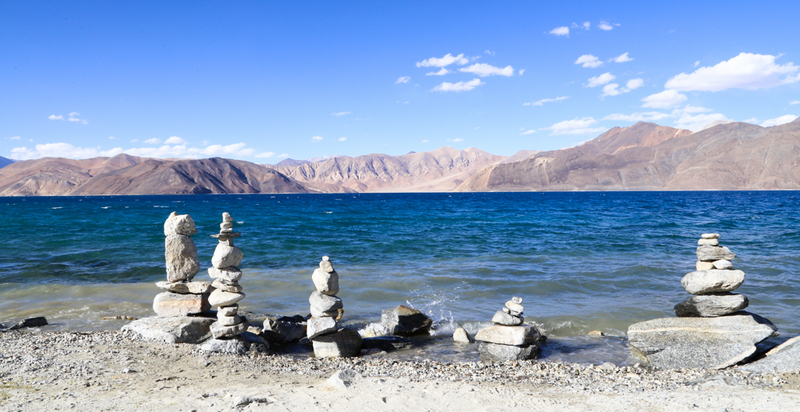 This is a unique opportunity to live and teach at an innovative educational center in the Himalayan region of India. Our guest teachers must have pedagogical experience, be prepared to work enthusiastically as part of a team of local and foreign teachers, to help implement an innovative concept. The children at KCE will learn across age groups. We will therefore be happy to hear about your experience with reform-pedagogical teaching methods. Preparations for travel abroad and a long-term stay take some time and of course raise many questions. To be well prepared, we would appreciate you contacting us early, so we can help and support you in your decision-making process and in completing all the necessary formalities. Our full-time volunteer teachers receive free room and board. Additional financial aid to help with the cost of airfare and other support are available. Please note in your application if you would like to apply for a bursary. Please send us your info request to info@sabassociation.org, we are happy to receive your email! 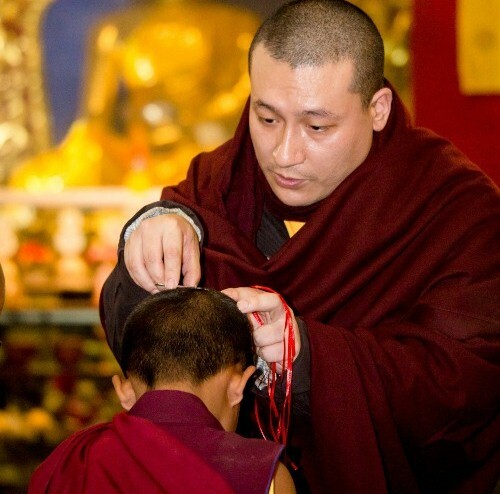 Support the vision and become a patron of the Karmapa Center of Education. Thank you for your invaluable contribution.